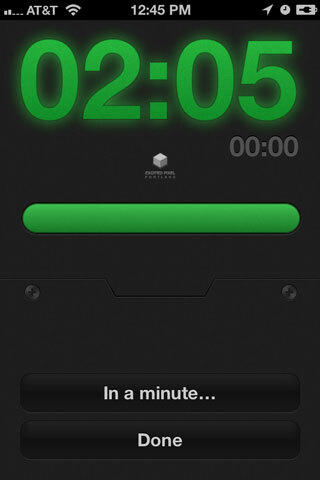 BreakTime is a simple utility for iPhone, iPad and iPod Touches designed to help you remember to take breaks. It never forgets a break, so you can focus on what you're doing. 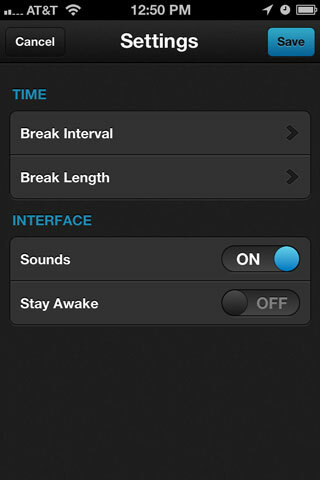 Use BreakTime to remind you to take breaks from studying, gaming, working or any other activity. Let BreakTime do the hard work so you never miss a break. A lot of thought was put into designing BreakTime. If you're going to be interrupted by something multiple times a day, it sure better look good. So we pushed a lot of pixels before we came up with the final design. We also added subtle effects (like rotating screws) to make the experience that much more enjoyable. It's the little things. BreakTime gives you quick access to the things you need to manage your breaks. Use the intuitive Pie Control™ to reschedule breaks with a drag of a finger. Or swiftly disable BreakTime so that you can watch a movie without interruption. BreakTime makes it easy to get what you need done and then gets out of your way. Spending hours inactive everyday isn't healthy. A study from the American Cancer Society has linked extended periods of sitting with an increased risk of death. Unfortunately for many of us, quitting our work isn't an option. 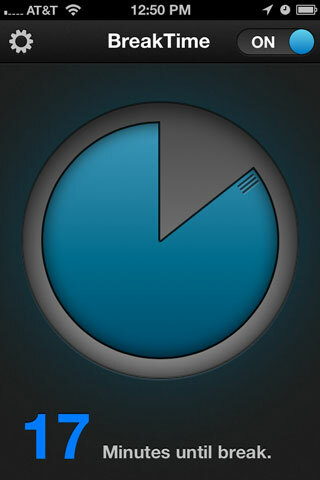 Using BreakTime reduces the continuous time you spend on an activity. Standing up, getting your blood pumping and looking around may reduce the effects of long periods of sitting on your body and eyes. We've included helpful text for settings to make sure you understand every action you can take. 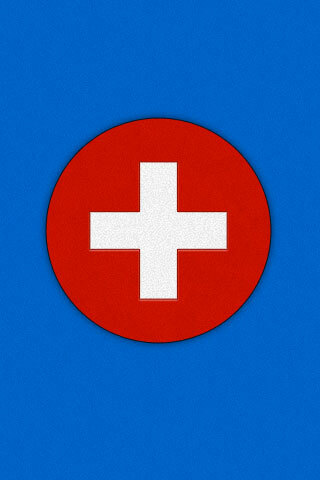 BreakTime is also available on OS X. You can use it to take breaks from your mac or anything else you need an occasional respite from. Learn about new Excited Pixel products and BreakTime updates with our Mailing List.